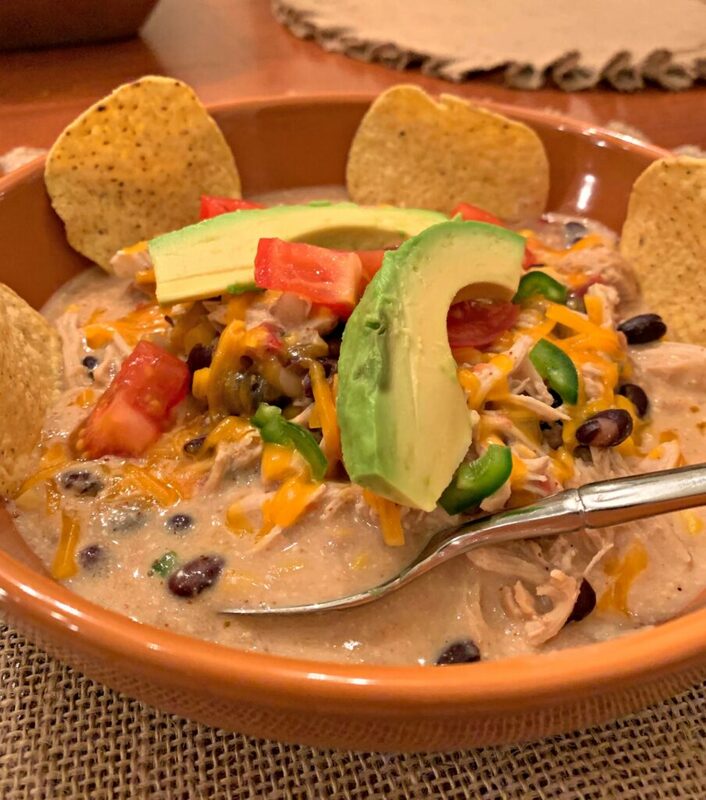 This Instant Pot White Chicken Chili is simple to make and tastes like it took hours to cook! 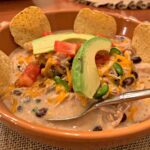 Made in the Instant Pot, this can be ready to enjoy in under 30 minutes! 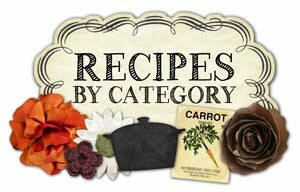 Have you jumped on the Instant Pot train yet? If not, what are you waiting for?? I know the Instant Pot can be intimidating and if you’ve watched the show Breaking Bad, that sure didn’t help, right?! Haha! Well, let me tell you, once you try it once, you’ll fall in love and never look back! The first thing I made in mine was rice. I figured, if it turned out bad, I wasn’t out much. But let me tell you, it was by far the best rice I have ever had, and I immediately got rid of my rice cooker. The next time I used it, I made macaroni and cheese, and again, best cheesy pasta ever! My kids ask me to make it at least once a week! For Christmas, my hubby and I bought my mom an Instant Pot. 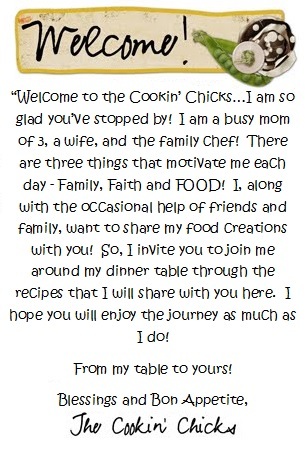 She jumped right in and started trying recipes from my blog, Pinterest, and creating her own new ones! Both she and my dad are thoroughly enjoying it and this chicken chili is actually a recipe from her! A few nights ago, she told me she was trying something new in her Instant Pot to try to use some on hand ingredients up from her pantry. 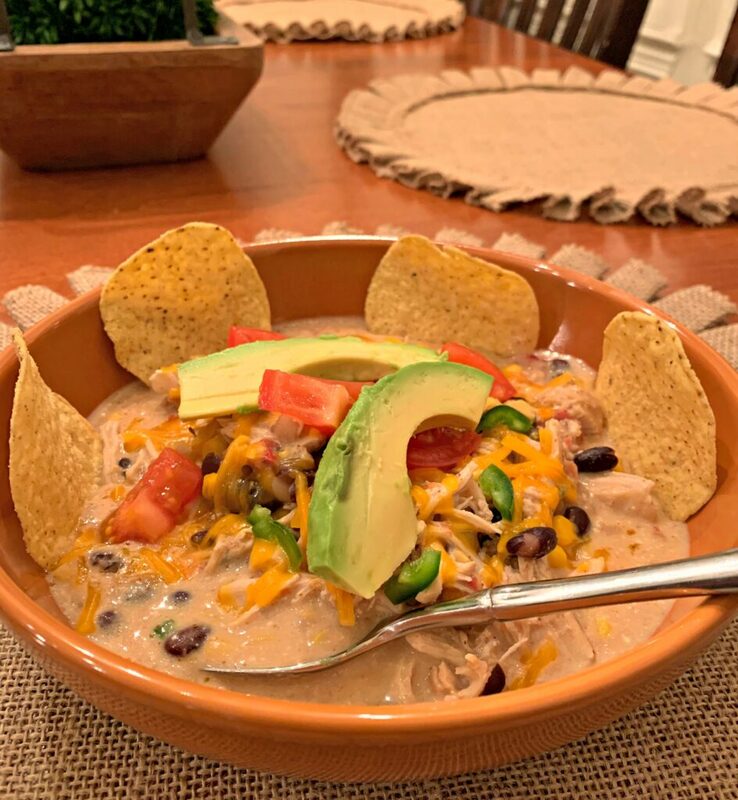 After their dinner, she sent me the pictures below and said both she and my dad LOVED the chicken chili and it was a huge hit! They had enough to enjoy again for lunch the next day! The chili has tender chicken, beans, and veggies, in a creamy, seasoned broth! Each batch serves about 4 and leftovers freeze or reheat perfectly! 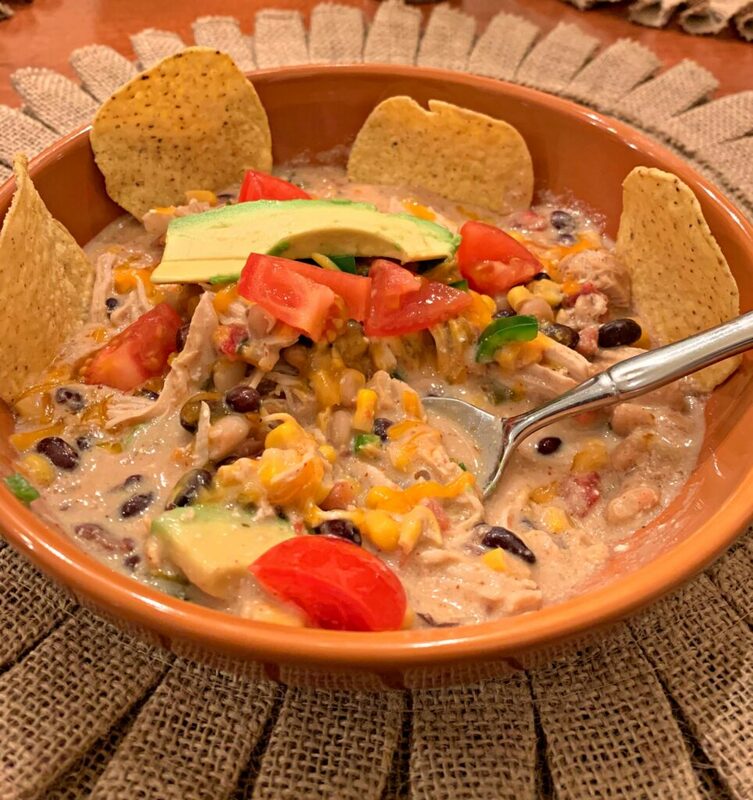 With winter weather here, warm up with a bowl of this tasty White Chicken Chili! Be sure to sign up for my newsletter below by entering your email address! Place the chicken breasts, drained black/white beans, onion, corn, tomatoes, and chicken broth into your Instant Pot. Add Cayenne pepper, chili powder, cumin, and Ranch. Stir to incorporate. Cut cream cheese into chunks and place over the chicken. Place lid securely on Instant Pot and ensure valve is in sealing position. Cook on high, manual pressure for 20 minutes. Once done, allow a natural pressure release for 10 minutes, followed by a quick release. Once pressure has released and pin has dropped, open lid and shred chicken. Stir everything together before serving.